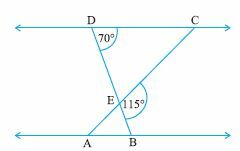 Q 1: The perimeters of two similar triangles are 30 and 20 respectively. 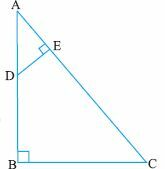 If one side of the first triangle is 12, determine the corresponding side of the other triangle. Q 3: A vertical stick 12 cm longs casts a shadow 8 m long on the ground. At the same time a tower casts a shadow 40 m on the ground. Find the height of the tower. Q 5: State if the pair of triangles are congruent and if congruent by what postulate?